Making that basic combat system though, proved a huge challenge. It would never work like I envisioned; too flat, too complex, too slow, too frustrating… Every now and then I go through my git commit messages and the number of ‘more combat tweaks’ is crazy. It took so long to create a combat system with just normal weapons, that the idea of adding items and magic became a mirage in the distance. At least, up until this week. With the combat finally saying 'click', I caught momentum and added both long wished-for features in a matter of days. I made it so that stats can be modified temporarily. 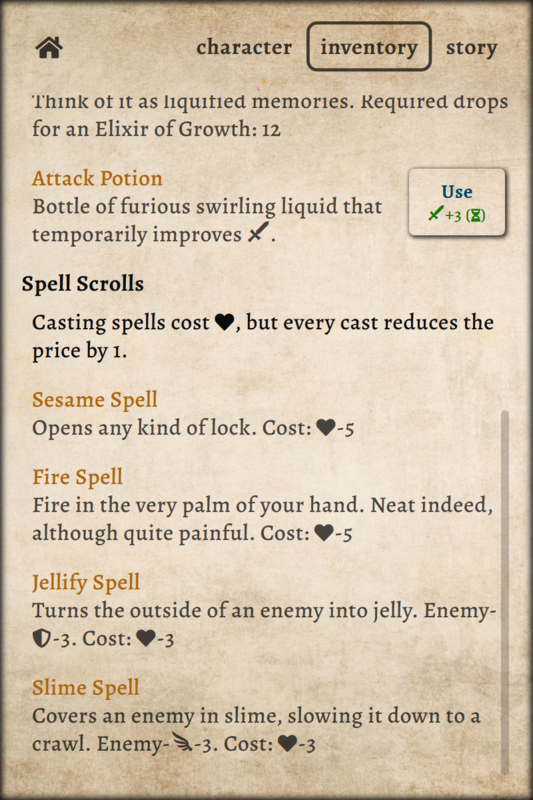 With the right potions you can boost them. Facing falling rock? Boost Defense, or Speed. Spider webs? Take that Attack +3. 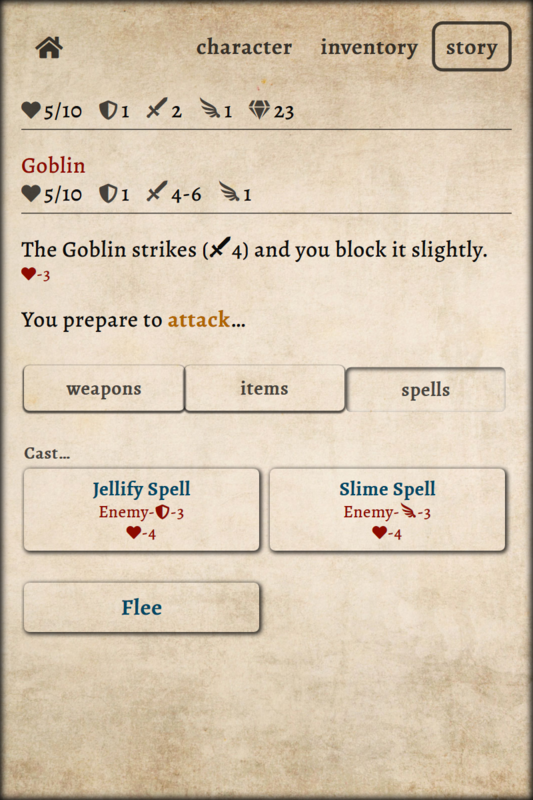 Spells do it the other way around: they add penalties to the stats of the other party. Time to Jellify that Troll and his thick skin! What about the cost of magic? 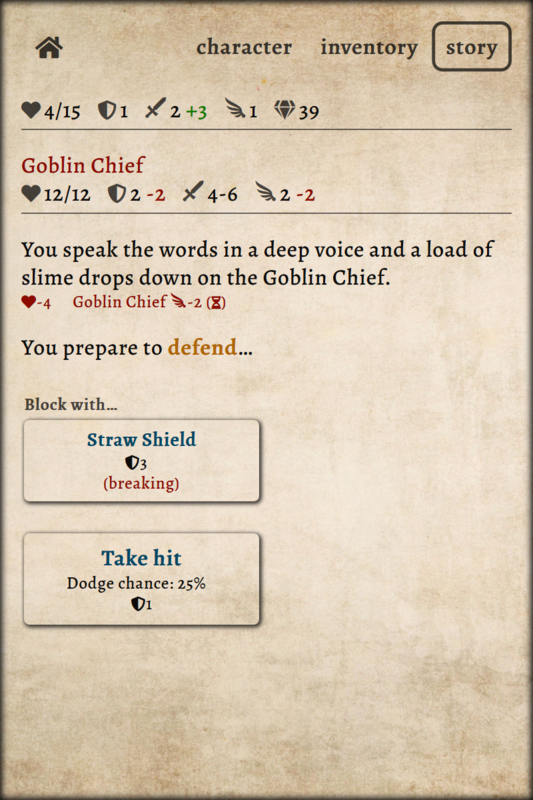 I went a little controversial here and made casting spells cost Life. On top of that, the cost for casting a spell is decreased every time you cast that spell, eventually becoming free. It’s a first step in adding tension between short-term and long-term rewards. I have plans for more and hopefully that will add a layer of strategy to the epic quest of Adventure.